Nowadays biologic medicines have successfully saved countless lives of patients with serious diseases such as cancer, autoimmune disorders like rheumatoid arthritis (RA) and psoriasis, blood-related illness, and neurological cases such as multiple sclerosis. Throughout the years, Biotechnology has touched all aspects of health and agriculture. Biotechnology is an important field that is applied to these sectors with the aim of improving the different targeted genes and customized medicines. There are numerous methods applied to biotechnology such as gene treatment, recombinant DNA technology. A more targeted approach is called polymerase establishment revenge which uses genetics along with DNA particles to make a projected illness and put in replace them with healthy genes in the physical body in place of the harmed cells. In this article, we will discuss how biotechnology revolutionized the traditional medicine and help save and improve the quality of life for people suffering from various illnesses. In addition, we will provide a brief overview of the common medical biotechnology field that was vastly improved using innovations by medical biotechnology. Biotechnology is commonly used to improve medicines due to the advantages and pieces of knowledge it provides such as understanding the genetic composition of the human species, foundational structure of hereditary diseases manipulation and repairing of damaged genes to cure diseases. Medical biotechnology has improved tremendously in the recent decades, which lead to the multiple innovative techniques that aim to prevent, diagnose and treat diseases. More advanced and innovative methodologies include genomics, pharmaceuticals, DNA sequencing, cell culture, interference RNA, and genome editing have effectively improved the growth and understanding of health science, through gene sequencing, stem cells for regenerative medicine, tissue engineering, and antibiotics. With the steady improvements in the research and development, medical biotechnology can surely become a well-received foundation in health science. It is widely accepted that any medicine created with or extracted from living cells is recognized as a biotech therapy, or biologic. For many years, the produced biologics medicines are used as insulin and certain vaccines.Biologics were created after the introduction of genetic engineering, that improved the medical biotechnology field in the 1970s. By that time, a lot of medical companies realize the new field’s potential and to deliver biologics to patients. Biologics cannot be consumed ad administered to sick people until they have been approved by the governing bodies responsible for regulating drug use and consumption. For instance,the United States of America has the Food and Drug Administration to evaluate the safety of these medicines. Biotechnology has opened the floodgates for more improved medicines that aid tremendously in the diagnosing, preventing and curing a wide range of illnesses. Human health has always been the primary concern all throughout the world especially now with the introduction of a multitude of diseases. Biotechnology plays a dynamic stance in tackling the obstacles pertaining to health as it offers an alternative way to mitigate the health defects with the promise of better and improved medical biotechnology applications and innovations. It has revolutionized the way medical science was perceived. Leading experts in the field of biotechnology estimate that there are over thousands of therapeutic organisms that can aid and pave way for better and effective medicines. Common ones are different kinds of proteins, that contains organisms, biomarkers, genes, and cells. 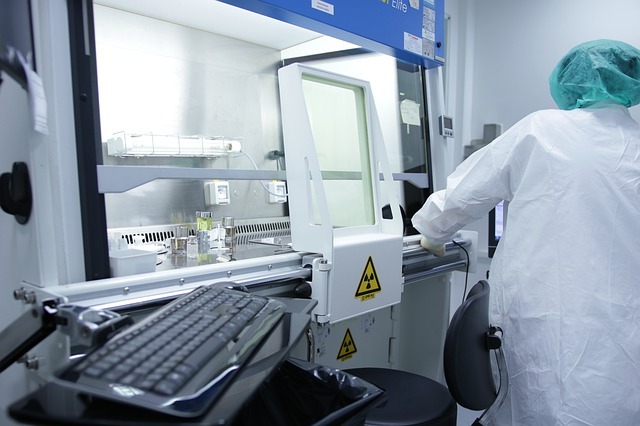 Using this newfound knowledge, bioengineers create health technologies and value-adding outcome that have made considerable upgrades in curing illnesses and diseases along with providing a better quality of life for patients. Through advanced methods in biotechnology, biopharmaceuticals were produced safely and quickly for treating illnesses. Furthermore, biopharmaceuticals do not contain any chemicals and use targeted organisms to synthesize the medicine successfully. Big molecules of proteins are the typical origin of biopharmaceuticals. When they are inside the human body, they target dangerous and hidden parts of the disease and obliterate them. Today, scientists and researchers are aiming to extend and develop biopharmaceutical medicines which can be used to fight diseases related to heart, hepatitis and cancer. 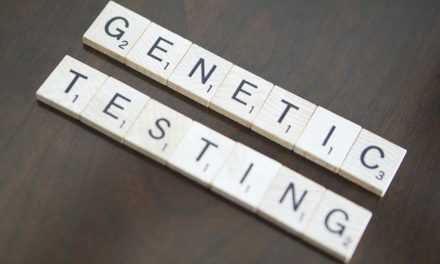 Pharmacogenomics is the technique that leverages the person’s heredity information to choose the best biotechnological medicine for their illness. This studies the body system’s response to certain medications. To put it simply, this is the combination of advances in pharmaceuticals along with genomics. The end goal of this application is to improve medicines that are specifically targeted to a person in lieu with his genetic makeup to ensure effective treatment of illness. The end goal of this branch of medical science is to effectively produce biotechnological medicines which are placed in the patient’s body in accordance with his genetical makeup. With the use of pharmacogenomics, medical companies can produce medicines that depend on the proteins, compounds, and RNA particles based on the chosen qualities and infections applicable. Synthesized medicines are almost guaranteed to improve remedial effects, in addition to diminishing harm to other nearby cells. With the knowledge of the person’s hereditary inclinations, specialists can ascertain how well the patient’s body can prepare and process a medication and decide the correct amount of medication doses. As a result, an accurate prescription will be given, and the chance of overdose is mitigated. A global pandemic is a real issue and has always proven its powerful grip on humanity. Through Biotechnology, scientists and researchers can quickly pinpoint precursors or markers that can cause severe illnesses and diseases. As a result, they can synthesize vaccines quickly against any dangerous pandemic sickness. In a study on vaccines and biotechnology, researchers found a great decline in illnesses when patients were administered with a vaccine produced through biotechnology. With today’s biotechnology, traditional medications are improved efficiently with reduced risk and provides cost-effective alternatives. Through great strides in biotechnology, millions of patients worldwide continue to have a better chance at getting cured using biological medicines developed by companies that are discovering, developing, and delivering innovative medicines to treat all types of illnesses. As companies continue to develop medicines that address significant unmet needs, future innovations in biotechnology research will bring exciting new advances to help millions of more people worldwide. Do you agree to the above points on how biotechnology has improved medicines? If so, please rate and share this article. Are there other exciting innovations biotechnology have in medicine? Please leave a comment below. Thanks! NextHow hard is Biomedical Engineering?